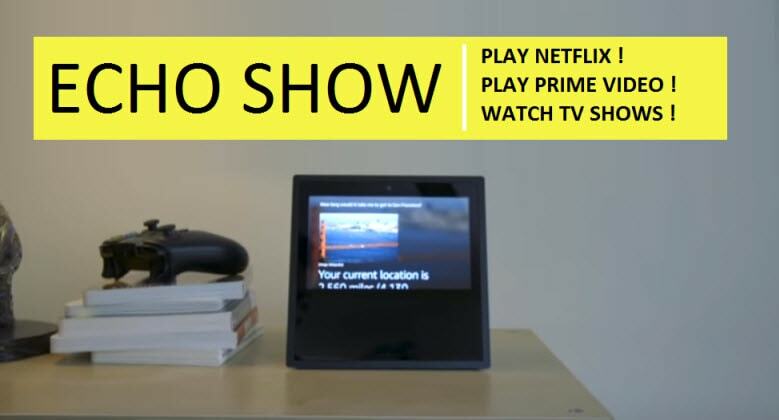 These Methods will make you watch YouTube and Netflix Videos on Amazon Echo Show. You can watch movies or TV shows using Amazon Prime Video on Echo Show. Compatible Echo devices can play movies and TV shows available through your Prime Video Subscription and from active Amazon Channels Subscription like HBO, Showtime and Starz. To know more commands for TV and other Video Services provider you need to enable Alexa Video Skills in your Alexa App. Now, you can Download Alexa App on Windows. Next, we are going to show you how you can enable it. Important Note: Amazon Echo Show 2nd Generation doesn’t support Amazon Prime Videos Channel Subscriptions. Alexa Video skills help you watch and control TV services and video service providers via Alexa compatible devices. It’s done! Setup Procedure is completed. Now Alexa App will open a “Setting” screen for the Alexa Skill. Under setting part select TV or Video Service under “TV & Video” section. Now you can use your voice to control your TV and Video services will Alexa App. Try the above commands first.